Want to push your GTX 980ti/TITAN X even further with an overclock? Then watercooling is for you. 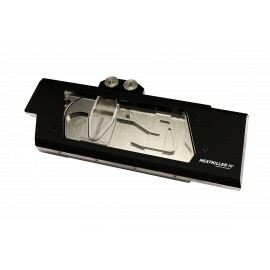 A watercooled graphics card with appropriate full coverage water block will yield more over clocking headroom and significantly lower temperatures. We stock a variety of water blocks for both reference and after market PCB layouts. Buy yours here today.